Last year, I discovered a promising paint program created by indie Swedish developer Henning Tegen. Though only in early beta, his program Leonardo offered an excellent experience on the Surface Pro and other Windows tablets. Earlier this week, Tegen published a new update which is the result of five months labor to fix what the developer believes was his software's biggest flaw: its brush engine. That engine has now been rewritten from scratch to support things like smudge and blend, increase brush stroke quality, improve performance and minimize latency. "The new smudge/blend tool have been designed with the primary focus on being able to smooth out gradients really fast and beautiful," writes Tegen. 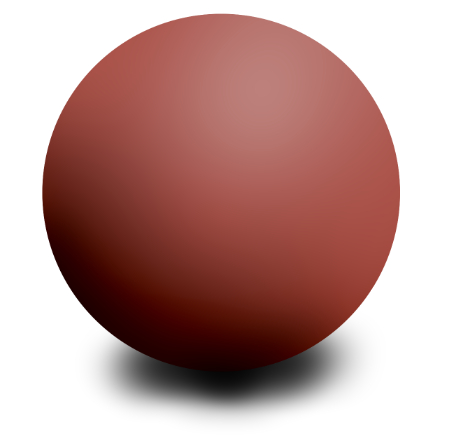 "For example, the lit ball (to the left) can now be achieved in seconds in Leonardo thanks to the smudge/blend tool!" The smudge/blend tool can also be used for a lot of other things like mixing colors, getting an oily feel to your canvas and drawing things like reflections, fire and smoke. Thanks to the new brush engine, Tegen claims that Leonardo now also render brush strokes much faster than before: up to 500% faster for big brushes. This is achieved by precalculating as much of the pixel values as possible beforehand to minimize the amount of work that is needed once you actually draw the stroke. If you already have Leonardo, you can get the new version by opening up the About panel from the Help menu.